For the electoral district in the Australian House of Representatives, see Division of Gippsland. For the aircraft manufacturer, see GippsAero. As at the 2016 Australian census, Gippsland had a population of 271,266, with the principal population centres of the region, in descending order of population, being Traralgon, Moe, Warragul, Morwell, Sale, Bairnsdale, Drouin, Leongatha, and Phillip Island. Gippsland is best known for its primary production such as mining, power generation and farming as well as its tourist destinations— Phillip Island, Wilsons Promontory, the Gippsland Lakes, Walhalla, the Baw Baw Plateau, and the Strzelecki Ranges. 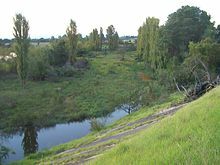 The area was originally inhabited by Indigenous Australians of the Gunai nation and part of West Gippsland by the Bunurong nation. 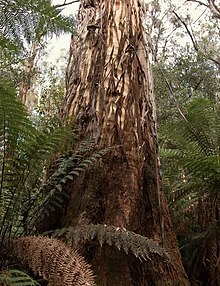 Before permanent European settlement, the area was visited by sealers and wattle bark gatherers, but who did not settle. Samuel Anderson (1803-1863), a Scottish immigrant from Kirkcudbright, agriculturist and explorer, arrived in Hobart, Tasmania in 1830, and in 1835 established a squatter agricultural settlement on the Bass River in Gippsland, the third permanent settlement in Victoria (then called the Port Phillip District). His business partner Robert Massie joined him in 1837. Both had worked for the Van Diemen's Land Company at Circular Head, Tasmania. Samuel's brothers Hugh (1808-1898) and Thomas (1814-1903) arrived at Bass shortly after, where they established a successful farming venture. Further European settlement followed two separate expeditions to the area. The township of Bass was surveyed and settled in the early 1860s. The intensive settlement of south Gippsland began late in the 1870s. The story of that process is told in, The land of the Lyre Bird (1920). East Gippsland (Shires of Wellington and East Gippsland). Sometimes a fifth region, Central Gippsland (corresponding approximately to the Shire of Wellington), is added to refer to the drier zone between the Gippsland Lakes and Yarram. 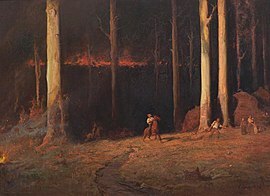 The climate of Gippsland is temperate and generally humid, except in the central region around Sale, where annual rainfall can be less than 600 millimetres (24 in). In the Strzelecki Ranges annual rainfall can be as high as 1,500 millimetres (59 in), while on the high mountains of East Gippsland it probably reaches similar levels – much of it falling as snow. In lower levels east of the Snowy River, mean annual rainfall is typically about 900–950 millimetres (35–37 in) and less variable than in the coastal districts of New South Wales. Mean maximum temperatures in lower areas range from 24 °C (75 °F) in January to 15 °C (59 °F) in July. In the highlands of the Baw Baw Plateau and the remote Errinundra Plateau, temperatures range from a maximum of 18 °C (64 °F) to a minimum of 8 °C (46 °F). However, in winter, mean minima in these areas can be as low as −4 °C (25 °F), leading to heavy snowfalls that often isolate the Errinundra Plateau between June and October. The soils in Gippsland are generally very infertile, being profoundly deficient in nitrogen, phosphorus, potassium and calcium. Apart from frequently flooded areas, they are classed as Spodosols, Psamments and Ultisols. Consequently, heavy fertilisation is required for agriculture or pastoral development. Despite this, parts of Gippsland have become highly productive dairying and vegetable-growing regions: the region supplies Melbourne with most of its needs in these commodities. A few alluvial soils (chiefly near the Snowy) have much better native fertility, and these have always been intensively cultivated. In the extreme northeast is a small section of the Monaro Tableland used for grazing beef cattle. Gippsland possesses very few deposits of metallic minerals (gold rushes in the nineteenth century around Foster, Buchan petered out quickly). However, the deep underground gold mines operated at Walhalla for a fifty-year period between 1863-1913. Gippsland has no deposits of major industrial nonmetallic minerals, but it does feature the world's largest brown coal deposits and, around Sale and offshore in the Bass Strait, some of the largest deposits of oil and natural gas in Australia. Like the rest of Australia, the seas around Gippsland are of very low productivity as there is no upwelling due to the warm currents in the Tasman Sea. Nonetheless, towns such as Marlo and Mallacoota depended for a long time on the fishing of abalone, whose shells could fetch very high prices because of their use for pearls and pearl inlays. For Australian federal elections for the House of Representatives, the electoral divisions of Flinders, McMillan, and Gippsland lay entirely or partly in the Gippsland region. Flinders and McMillan are currently held by the Liberal Party, while Gippsland is held by the Nationals. For elections for the Victorian Legislative Assembly, the electoral districts of Bass, Narracan, Morwell, Gippsland South and Gippsland East lay entirely or partly in the Gippsland region. Bass and Narracan are currently held by the Liberal Party, while the other electorates are held by the Nationals. The Gippsland region contains the Alfred National Park, Baw Baw National Park, Coopracambra National Park, Croajingolong National Park, Errinundra National Park, Gippsland Lakes Coastal Park, Lind National Park, Mitchell River National Park, Morwell National Park, Snowy River National Park, Tarra-Bulga National Park, The Lakes National Park, and Wilsons Promontory National Park. There are also large areas of State forest that contribute towards conservation objectives. 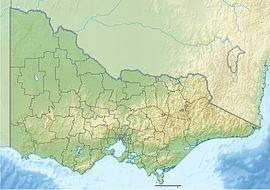 ^ "Victoria's Gippsland Region". Regional Development Victoria. State Government of Victoria. 3 June 2014. Retrieved 10 August 2014. ^ Niel Gunson (1966). "Anderson, Samuel (1803–1863)". Australian Dictionary of Biography. National Centre of Biography, Australian National University. Retrieved 29 August 2016. ^ Wells, J. (2003), "Colourful Tales of Old Gippsland", p. 92. ^ Webster, Theo (1967). "McMillan, Angus (1810-1865)". Australian Dictionary of Biography. National Centre of Biography, Australian National University. Retrieved 6 October 2007. ^ The land of the Lyre Bird: a story of early settlement in the Great South Forest of South Gippsland; being a description of the big scrub in its virgin state with its birds and animals, and of the adventures and hardships of its early explorers and prospectors also accounts by the settlers of clearing, settlement and development of the country, Gordon & Gotch for the Committee of the South Gippsland Pioneers Association, Melbourne, 1920 (reprinted 1966). ^ "Profile of the electoral division of Flinders (Vic)". Current federal electoral divisions. Australian Electoral Commission. 24 December 2010. Retrieved 8 August 2014. ^ "Profile of the electoral division of McMillan (Vic)". Current federal electoral divisions. Australian Electoral Commission. 24 December 2010. Retrieved 8 August 2014. ^ "Profile of the electoral division of Gippsland (Vic)". Current federal electoral divisions. Australian Electoral Commission. 24 December 2010. Retrieved 8 August 2014. ^ Australian Bureau of Statistics (31 October 2012). "2011 Community Profiles: Bass Coast (S) (Local Government Area)". 2011 Census of Population and Housing. Retrieved 8 August 2014. ^ Australian Bureau of Statistics (27 June 2017). "2016 Community Profiles: Bass Coast (S) (Local Government Area)". 2016 Census of Population and Housing. Retrieved 3 April 2018. ^ Australian Bureau of Statistics (31 October 2012). "2011 Community Profiles: Baw Baw (S) (Local Government Area)". 2011 Census of Population and Housing. Retrieved 8 August 2014. ^ Australian Bureau of Statistics (27 June 2017). "2016 Community Profiles: Baw Baw (S) (Local Government Area)". 2016 Census of Population and Housing. Retrieved 3 April 2018. ^ Australian Bureau of Statistics (31 October 2012). "2011 Community Profiles: East Gippsland (S) (Local Government Area)". 2011 Census of Population and Housing. Retrieved 8 August 2014. ^ Australian Bureau of Statistics (27 June 2017). "2016 Community Profiles: East Gippsland (S) (Local Government Area)". 2016 Census of Population and Housing. Retrieved 3 April 2018. ^ Australian Bureau of Statistics (31 October 2012). "2011 Community Profiles: Latrobe (Local Government Area)". 2011 Census of Population and Housing. Retrieved 8 August 2014. ^ Australian Bureau of Statistics (27 June 2017). "2016 Community Profiles: Latrobe (Local Government Area)". 2016 Census of Population and Housing. Retrieved 3 April 2018. ^ Australian Bureau of Statistics (31 October 2012). 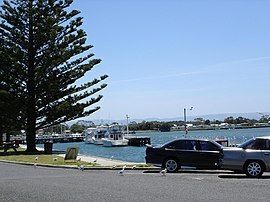 "2011 Community Profiles: South Gippsland (S) (Local Government Area)". 2011 Census of Population and Housing. Retrieved 8 August 2014. ^ Australian Bureau of Statistics (27 June 2017). "2016 Community Profiles: South Gippsland (S) (Local Government Area)". 2016 Census of Population and Housing. Retrieved 3 April 2018. ^ Australian Bureau of Statistics (31 October 2012). "2011 Community Profiles: Wellington (Local Government Area)". 2011 Census of Population and Housing. Retrieved 8 August 2014. ^ Australian Bureau of Statistics (27 June 2017). "2016 Community Profiles: Wellington (Local Government Area)". 2016 Census of Population and Housing. Retrieved 3 April 2018.